Our THIRD cover reveal for the week! 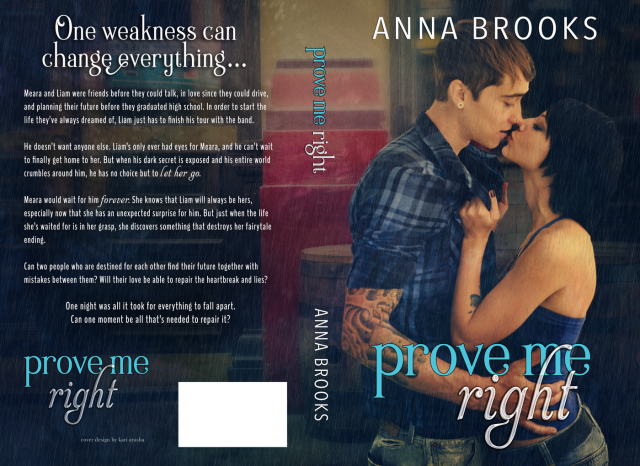 Prove Me Right is the third in Anna's 'It's kind of personal' series. If you haven't read Make Me Forget, or Show Me How, now is the time! He doesn't want anyone else. Liam's only ever had eyes for Meara, and he can't wait to finally get home to her. But when his dark secret is exposed and his entire world crumbles around him, he has no choice but to let her go. Meara would wait for him forever. She knows that Liam will always be hers, especially now that she has an unexpected surprise for him. But just when the life she's waited for is in her grasp, she discovers something that destroys her fairytale ending. Can two people who are destined for each other find their future with mistakes between them? Will their love be able to repair the heartbreak and lies?